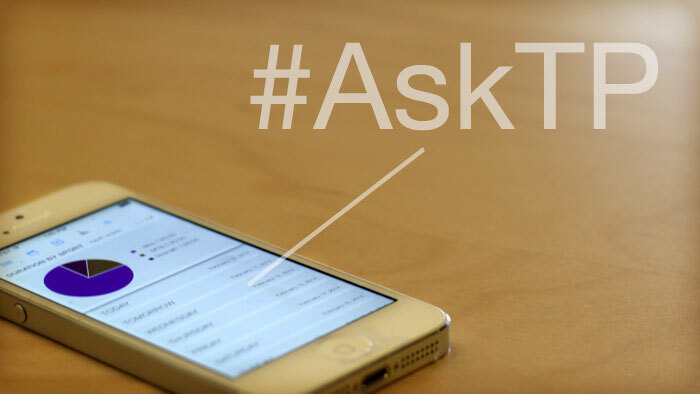 #AskTP Twitter Chat: How Can TrainingPeaks Help You Improve Your Results? #AskTP. No one knows the ins and outs of the ecosystem of TrainingPeaks products like our Customer Success Team. Whether you’ve just started, or you’ve been using TrainingPeaks for years, our Customer Success Team can help you get more out of TrainingPeaks. On Thursday February 20th from 1:00-2:00 p.m. MST, we’ll be hosting our very first #AskTP Twitter chat. Our entire Customer Success Team will be on Twitter to answer any questions you have about how our products can help you improve your results this year. Just tweet us using our Twitter handle @TrainingPeaks and include the hashtag #AskTP. We’ll respond as quickly as possible. Keep in mind our team will be answering questions regarding how our products can better help you and we only have 140 characters to respond with. So questions should be short and simple. If we feel our response to your question will take more than a couple tweets, we’ll kindly ask that you submit a request so we can best assist you one-on-one. Technical questions specific to your account. Questions regarding how you should be training and/or coaching. But we’d be happy to answer these types of questions here. Want to know who you’ll be talking to? Here’s a quick introduction to our Customer Success Team. AJ Johnson: Former pro triathlete and journalist. Jack-of-all-trades racer including SUP, biathlon, ski mo, and mountain bikes. Dave Schell: Ironman, coach, and trained chef. Has held more nicknames than the average man. Frank Pipp: Retired pro cyclist, now weekend running warrior. The serious guy in the office. Jason Short: Former pro cyclist in Europe, cycling coach, and former autocrosser. Marcus Ward: Races mountain bikes, types 1000 wpm, and can fix anything. Michelle Mjoen: Roadie, retired runner, owner of rambunctious border collie mix named Ryder. We’re looking forward to tweeting with you.